posing as Mr. and Mrs. Robert Fulton, Sr. 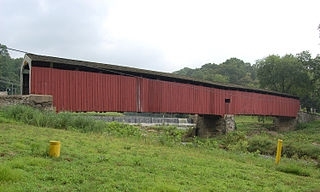 Monthly meetings are held on the third Saturday of each month at 1:30 P.M. in the Archives and Warehouse Building, which is located opposite the Robert Fulton Birthplace, 1932 Robert Fulton Highway (Route 222), 6.5 miles south of Quarryville, Pennsylvania. An educational and informative program is offered at each monthly meeting, except January and December. 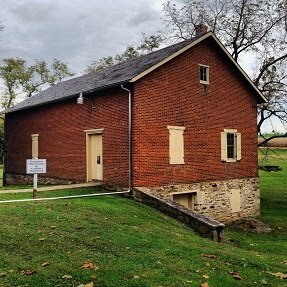 The Solanco Historical Society ("SLCHS") Archives Warehouse Building is open for use by the general public to conduct research on Wednesday mornings throughout the year and on the 2nd and 4th Saturday of the month from September to May from 9:00 A.M. until noon, weather permitting. Research by special appointment can be arranged. There is a $5.00 charge for non-members. Annually: Creation and production of the Historic Sites Calendar. Drawings of historic structures by local artists are featured. Gift Shop: Sales of crafts, books, photographs, note cards, T-shirts and more. SLCHS's volunteer docents provide guided tours of the Robert Fulton birthplace on behalf of the Commonwealth of Pennsylvania on weekends during the summer (from Memorial Day to Labor Day). Docents work in pairs at the birthplace in four-hour shifts. Guide duty is fun and a great way to meet fellow citizens interested in our local history. SLCHS volunteers plant and maintain a Colonial kitchen vegetable and flower garden at the Robert Fulton birthplace. We sincerely hope you will join us at our monthly meetings and help us collect and preserve our area’s history. Meetings are held on the 3rd Saturday of each month, except December when a holiday luncheon is held. The Society is a member-funded organization without local, state or federal funding, therefore, all additional memberships, volunteers, donations and ideas for fundraisers are appreciated and welcome. Your contributions and volunteerism are greatly appreciated! ADULT (18-59 yrs.) $ 12.00/yr. SENIOR (60+ yrs.) $ 10.00/yr. FAMILY (Parent(s) plus children under 22) $ 25.00/yr. STUDENT (under 22) $ 5.00/yr. We also encourage gift memberships for friends and family! The Solanco Historical Society invites current and former residents of the area and anyone who would like to support our mission goals to fill out this application and return it to us at the address below, along with your dues payment made payable to "SLCHS". information on Southern End towns.